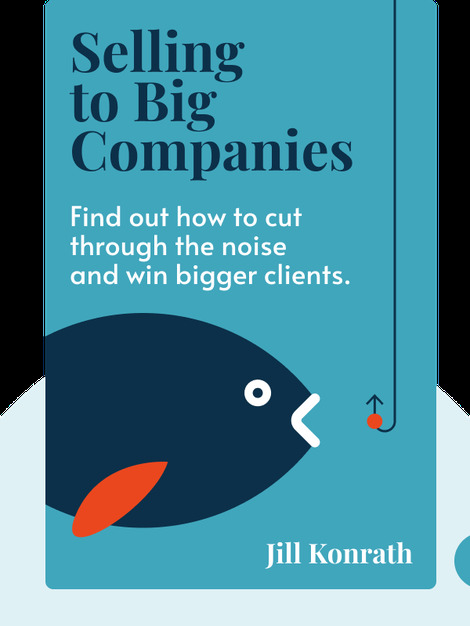 Find out how to cut through the noise and win bigger clients. Selling to Big Companies (2006) closely examines the ins and outs of dealing with corporate decision-makers. From making an initial contact to developing your sales pitch, this book will give you all the tools you need to sell to big companies. 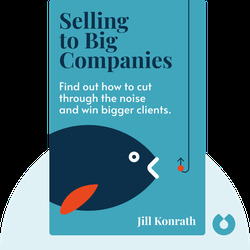 An expert in sales strategy, Jill Konrath teaches salespeople how to win more contracts and is renowned for her speeches and workshops. In addition to this book, she has authored other titles, including Agile Selling (2014) and Snap Selling (2012).